By now it’s a well-established fact that the Internet of things has numerous applications and it only strives to make our lives faster and easier. The world has started implementing IoT across various verticals of our day today loves. From smart homes to smart clothes to smartphone, IoT is making everything smart. Then why should our beloved pets stay behind the line! In a recent survey 21.8% pet owner, can’t afford pet veterans and checkups, because when they do a checkup, it is always too late. So timely monitoring of pet health is very important. Internet of Things along with artificial intelligence and other cutting-edge technologies are helping our pets live a healthier and longer life. Using a smart pet care device can will not only make the pet owner’s life easy but it will also help prevent a lot of accidents. Let us look at some of the ways in which IoT can help you and your pets live a fun life. We are well aware of the numerous smart devices that are currently used by humans so that they can keep a track of their vitals. We have similar devices/collars/wearable tags for your pets as well. They are equipped with sensors to keep the pet owners updated 24*7. Body temperature, heart rate, respiration, nutrient intake, everything can be tracked via these activity/health monitors. 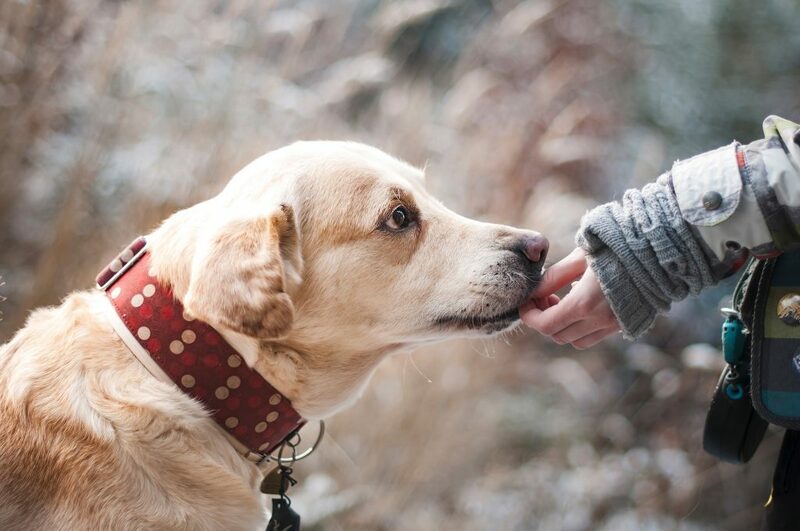 You can keep a track of pet’s health throughout the day and take necessary actions if and when required. You are at work and your pet is hungry and it is inhumane to make the poor animal wait till you back. This is smart pet feeders come in the picture. They not only schedule your pet’s feeding but also lets you the time but also the quantity consumed. Pet owners can get notifications and hence can manage the next feeding accordingly. These feeders can be integrated with smart homes or can also work individually with AI assistants like Alexa. Pets are just like our babies. Hence, the need to know their location 24*7 becomes imperative. Wearable tags can be attached to the pet’s collar which will help the pet owner know its whereabouts. The device is GPS-enabled and every time the pet owners will get a notification each time their pet leaves the specified premises. Pet owners can interact with their pets while they are away, just like radio nanny. You can plug-in and keep a watch on your pet’s activities and raise the alarm on time if need be. You can video chat them and in a way to stay with them even when you are away. The applications are numerous and hence DreamzIoT brings you smart solutions which will solve all your worries related to your beloved pet. In DreamzIOT, we understand the feeling of being a pet parent. 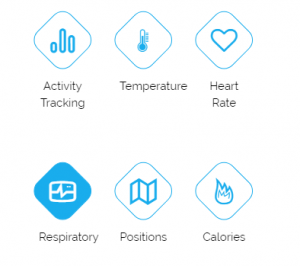 So we come up with a very unique solution, which can monitor your pet activity 24/7. DreamzIOT Pet Tracker can monitor the following vital items of your pet. You as a user of DreamzIOT Pet tracker can monitor and set an alert to a particular event to get a notification, how your pet feels or your pet needs any doctor’s assistant. Imagine You are out for a vacation, and your pet is sick, how you will know, how your pet feels. DreamzIOT pet tracker, always helps you to stay in touch with your pet, by knowing all the activity of your pet. Few Simple steps and you are many steps closer to your pet. Simply Put Smart collar to your Pet. With DreamzIOT, you log all the previous data and can generate report out of it. Export and Share report with your pet veterinary doctor. Pet tracker not only monitor health data but also track GPS Location. You can find your Pet at real time. You can do track Your PET, You can also create Geofence around your home so that when the pet goes away from your geofence, it will send an alert. DreamzIoT’s main goal is to reverse the current state of reactive care for pets. By allowing our pet’s bodies to speak for them we can possibly fill the needs of each unique pet has before the first sign of illness ever rears its ugly head. 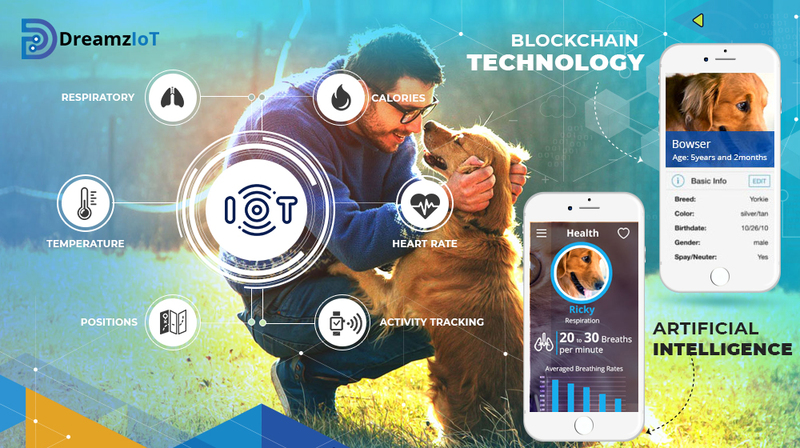 DreamzIoT’s AI enabled Pet Solution analyzes all vitals and activities of your pets and alerts you whenever something is wrong and needs action. A better care of your pet will create a better relationship with your pet, giving every pet parent a peace of mind.